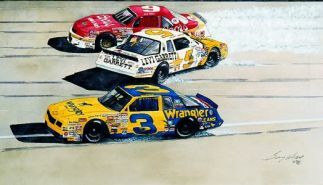 "NASCAR Sprint All-Star Race 1987"
Dale Earnhardt, Bill Elliott and Geoff Bodine. 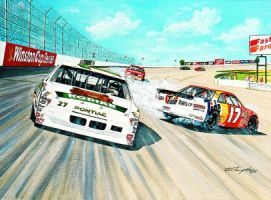 First signed and numbered fine art print in stock car racing. 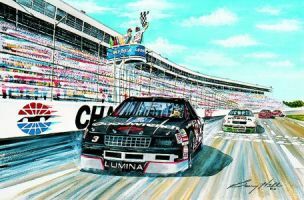 "NASCAR Sprint All-Star Race 1989"
Exciting conclusion to the race at Charlotte Motor Speedway between winner Rusty Wallace and Darrell Waltrip. 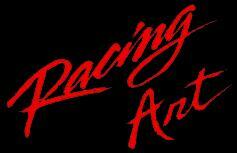 "NASCAR Sprint All-Star Race 1990"
Dale Earnhardt's second win in The NASCAR Sprint All-Star Race at Charlotte Motor Speedway.